Arthur Van Eck ’48 and his wife, Beatrice Van Heest ’53 Van Eck, continue to live in Fife Lake, Michigan, where he is a member of the Friends of the Library Board. During the fall of 2017 he gave two lectures on “The Making of the New Revised Standard Version of the Bible,” a lecture … Continue reading "Arthur Van Eck ’48"
John “Dave” Haas ’53 of Palm Desert, California, reports that at age 85 he is in good health; plays some golf; and teaches in a program for students 55 or older, called OSHER. He writes that he just had a brother-in-law pass away at age 87 (attended Hope but did not graduate; lived his entire … Continue reading "John “Dave” Haas ’53"
Janice Polhemus ’56 Jessup of Virginia Beach, Virginia, was named an honorary member of the fraternity of Omega Tau Rho by the State of Virginia and Hampton Roads Associations of Realtors on Oct. 3. Anne Wiegerink ’60 Anderson of Sandwich, Illinois, has published a memoir, My Griefcase. The “Griefcase” looks deep into the heart of grief, and through a personal narrative provides a list of tips for survival. The tips enable the grieving and their support systems to learn to make the most of each day and to cope … Continue reading "Anne Wiegerink ’60 Anderson"
Kathryn Kurth ’60 Scudder of Dearborn, Michigan, recently had her fourth book on faith and prayer, Looking to Jesus, published. Her other books, Everyday Prayers and More (2014), Prayer Thoughts for Every Day (2015) and Prayers, Praise, and People (2016), are all available online. Although retired from elementary teaching, she continues to be an active … Continue reading "Kathryn Kurth ’60 Scudder"
George Boerigter ’61 has been elected to the board of the New Mexico Symphonic Chorus, making him the only person to serve on the boards of the three major New Mexico music organizations: NM Symphony Orchestra, Opera Southwest, and now the NM Symphonic Chorus. This past October, George’s company SoundOff Signal had a two-day celeberation … Continue reading "George Boerigter ’61"
Amy Henrickson ’78, Clark Matthews ’61 and Steve Maas ’81 have come together to create the Grandville Community Choir. The choir of more than 50 area singers performs at various community events in addition to holding two special concerts each year, in December and April. Keep up with the choir on its Facebook page (search … Continue reading "Clark Matthews ’61"
David Weddle ’66 retired from Colorado College in 2014 as professor emeritus of religion. He has pursued his work in comparative religion that began with the book Miracles: Wonder and Meaning in World Religions (New York University Press, 2010) and continues with Sacrifice in Judaism, Christianity, and Islam (New York University Press, 2017). He and … Continue reading "David Weddle ’66"
Alan Jones ’69 of Burr Ridge, Illinois, had his latest book, The First 100 Days in the Main Office: Transforming School Culture, published. Further information on the book, and others he has written, can be found on his web page. 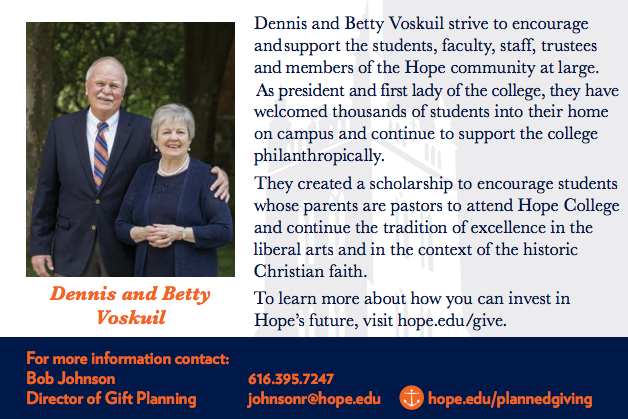 The Hope College Alumni Association will honor two alumnae during the annual Alumni Banquet on Saturday, April 28. The association will present Distinguished Alumni Awards to award-winning author Lynn Davis ’71 Austin (right) of Holland, Michigan, whose 24 books have sold a combined total of more than one million copies worldwide. Austin is the author of 23 novels and a … Continue reading "Lynn Davis ’71 Austin"
Ruth Folkert ’71 Trippy of Auburn, Georgia, recently published her third novel, A Western Beauty – Colorado, 1879. Her first book, The Soul of the Rose, can be found in Hope’s library. John Rothenbuhler ’72 of Farmersville, Texas, retired on Oct. 1, 2017. Randy Zomermaand ’72 (Tampa, Florida), Conley Zomermaand ’77 (Xenia, Ohio) and Mike Zomermaand ’81 (Canton, Michigan) met in Mt. Dora, Florida, and proudly represented Hope College at the Mt. Dora Bicycle Festival Oct. 5-8. The brothers, originally from Holland, Michigan, rode routes of 25, 56, 62 and a hilly 37 miles over the course of … Continue reading "Randy Zomermaand ’72"
Chadwick Busk ’74 of Rockford, Michigan, had the article “Using ‘Shall’ or ‘Will’ to Create Obligations in Business Contracts: Once More Unto the Breach” published in the October 2017 issue of the Michigan Bar Journal. He continues to practice information technology and corporate law from his home office and has a blog/ newsletter at busklaw.blogspot.com. David DeKok ’75 of Harrisburg, Pennsylvania, has been working as a contract correspondent in Pennsylvania for Reuters, the worldwide news service, since 2014. He has written several stories in the past year related to the fraternity hazing death of Timothy Piazza in 2017 at Penn State University, and the hazing death of Chen “Michael” Deng, … Continue reading "David DeKok ’75"
Karen Johnson-Weiner ’75 of Canton, New York, had a second edition published of her book New York Amish, Life in the Plain Communities of the Empire State (Cornell University Press). More than 20 new Amish communities in New York were established between the publication of the first edition in 2010 and the appearance of the … Continue reading "Karen Johnson-Weiner ’75"
Nancy Bennett ’76 Staal and her husband, Tim, are currently living and working in Tokyo, Japan where she is teaching grade four at Tokyo International School and Tim is the school librarian. 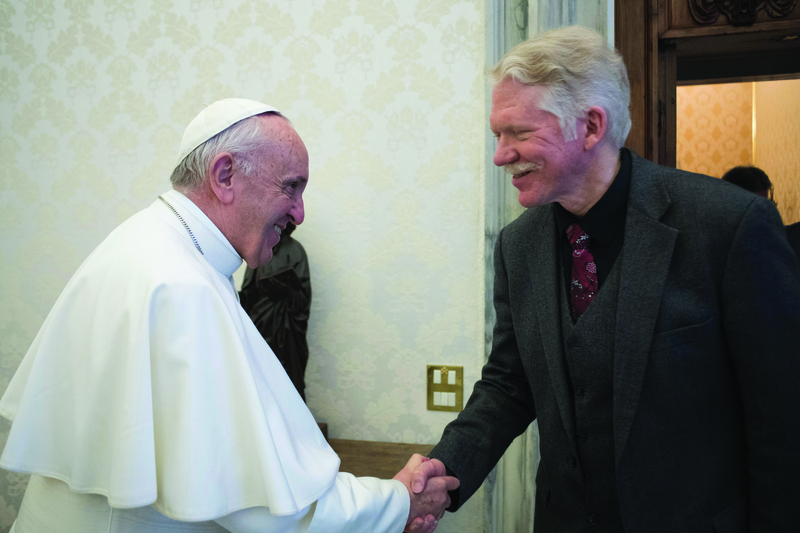 Thomas K. Johnson ’77 was among the leaders of the World Evangelical Alliance (WEA) who met with Pope Francis in the Vatican on Dec. 14 to discuss closer cooperation with the Catholic Church, particularly regarding issues of religious freedom and persecution of Christians around the world. Tom is WEA’s religious freedom ambassador to the Vatican. His specialty is human … Continue reading "Thomas K. Johnson ’77"
Randy Zomermaand ’72 (Tampa, Florida), Conley Zomermaand ’77 (Xenia, Ohio) and Mike Zomermaand ’81 (Canton, Michigan) met in Mt. Dora, Florida, and proudly represented Hope College at the Mt. Dora Bicycle Festival Oct. 5-8. The brothers, originally from Holland, Michigan, rode routes of 25, 56, 62 and a hilly 37 miles over the course of … Continue reading "Conley Zomermaand ’77"
Amy Henrickson ’78, Clark Matthews ’61 and Steve Maas ’81 have come together to create the Grandville Community Choir. The choir of more than 50 area singers performs at various community events in addition to holding two special concerts each year, in December and April. Keep up with the choir on its Facebook page (search … Continue reading "Amy Henrickson ’78"
Tom Allbaugh ’79 of Rancho Cucamonga, California, had his first novel, Apocalypse TV, released by eLectio Publishers on Sept. 12, 2017. It concerns an English professor who appears on a religious reality show. Kathleen VandeZande ’80 Fairbanks of Burke, South Dakota, was selected from parent nominations for the 2017 South Dakota Special Education Staff of the Year award. She has taught for 36 years, with 25 years as a special education teacher. Amy Henrickson ’78, Clark Matthews ’61 and Steve Maas ’81 have come together to create the Grandville Community Choir. The choir of more than 50 area singers performs at various community events in addition to holding two special concerts each year, in December and April. Keep up with the choir on its Facebook page (search … Continue reading "Steve Maas ’81"
Randy Zomermaand ’72 (Tampa, Florida), Conley Zomermaand ’77 (Xenia, Ohio) and Mike Zomermaand ’81 (Canton, Michigan) met in Mt. Dora, Florida, and proudly represented Hope College at the Mt. Dora Bicycle Festival Oct. 5-8. 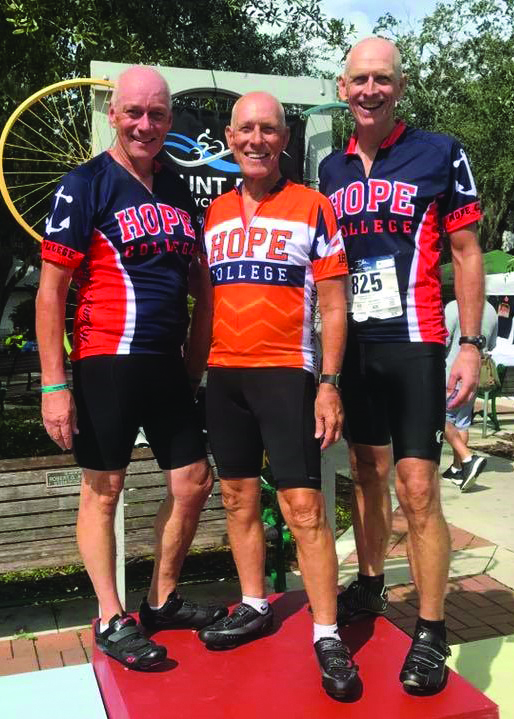 The brothers, originally from Holland, Michigan, rode routes of 25, 56, 62 and a hilly 37 miles over the course of … Continue reading "Mike Zomermaand ’81"
Johnathan Lein ’83 of Altamonte Springs, Florida, delivered the keynote address “Why Psychology?” in April at the fourth annual University of Central Florida Psychology Conference. He is an adjunct faculty member at the University of Southern California and the University of Central Florida graduate schools of social work. Kevin Rebhan ’84 of Holland, Michigan, has been inducted into the American College of Dentists in Atlanta, Georgia. The ACD is the oldest major honorary organization for dentists, and its mission is to advance excellence, ethics, professionalism and leadership in dentistry. Induction is a distinct honor as only 3.5 percent of dentists in the United … Continue reading "Kevin Rebhan ’84"
Sally Budd ’85 of Alexandria, Virginia, retired in April 2017 after 32 years of service in the federal government. She spent 10 years on Capitol Hill working for Congressman William D. Ford (D-MI), followed by 22 years at the United States Department of Education. Diane Boughton ’85 Walker of Manning, South Carolina, is teaching physical education in pre-K through sixth grade and coaching high school cross country and track with Clarendon County Schools District One. She recently became a certified track and field official with USATF. She has completed the USATF Certification 1 class to improve her coaching skills. Julie Van Heest ’86 Gortsema is founder and president of a 501(c) 3 not-for-profit organization, All Our Kids Inc., which is committed to Christ’s call to care for orphans in distress. They serve in Tijuana, Mexico, where due to extreme crime and poverty, children are often abandoned at birth, forced into human trafficking or sold … Continue reading "Julie Van Heest ’86 Gortsema"
Alan Supp ’86 of Rockford, Michigan, recently ended his role as a board member at Blandford Nature Center due to term limits. While there, he served as treasurer, vice-chair, chair of the Donor Development Committee, co-chair of the Investment Committee and a member of the Capital and Endowment Campaign which recently concluded by raising more … Continue reading "Alan Supp ’86"
Amy Affleck ’88 Meyer reports that after 1 5 years of tending the home fires and freelance editing and teaching, she has returned to full-time work at Elfinwild Presbyterian Church in the North Hills of Pittsburgh, Pennsylvania, as director of children’s and family ministries. She states that she loves the new adventure and is grateful … Continue reading "Amy Affleck ’88 Meyer"
Jen Baker ’91 recently moved to Bath, England, and reports that she is excited to discover the beauty found in the stunning and historic city. 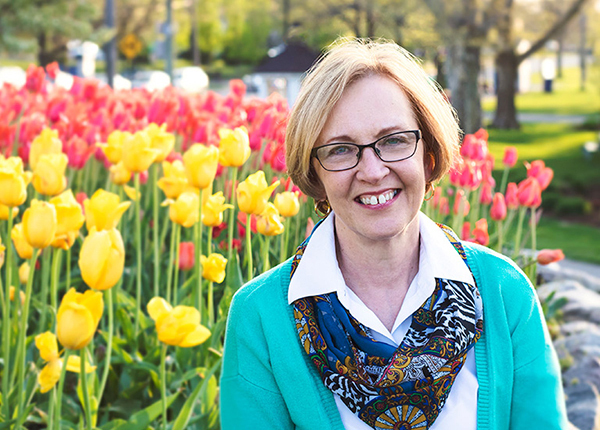 She has written three more books which will be published this year (January, April and September) and enjoys traveling internationally, speaking about the wonderful freedom found in Christ. She also … Continue reading "Jen Baker ’91"
David MacIntyre ’92 of Waukesha, Wisconsin, has been elected faculty president at Carroll University, where he teaches kinesiology in the exercise science program. He has been at Carroll since 1995. He is the first non-tenured, non-tenure track, clinical faculty member to serve as faculty president. Michelle Ready ’92 of Nunica, Michigan, was named the 2017 Gerri Allen Communicator of the Year by the Michigan School Public Relations Association. She is the director of communications and integrated marketing for Ottawa Area Intermdiate School District. Mike Nowlin ’93 reports that his family recently repatriated to central Ohio after working in Phnom Penh, Cambodia, for nearly four years. He was the executive director for Hagar Cambodia, a Christian non-profit ensuring that survivors of human rights abuses such as human trafficking, gender-based violence and abuse receive trauma recovery services. He reports that … Continue reading "Mike Nowlin ’93"
Trent Wakenight ’93 of Lorton, Virginia, has been working in the field of graphic facilitation and graphic recording since 2002, helping the federal government and industry-leading companies develop visual solutions to complex challenges and create poster-sized drawings in real-time at conferences and events. In 2017, he started his own firm, Marker Ninja LLC, and also … Continue reading "Trent Wakenight ’93"
Christopher Wirth ’96 was reappointed to Governor Rick Snyder’s Task Force on Child Abuse and Neglect for the next four years. John Bateman ’97 and Anita Van Engen ’98 Bateman announce the birth of Ella Joy on July 18, 2017. Miriam Beyer ’98 and Thomas Meadows were married in November in Brooklyn, New York. She is the director of communications at The School at Columbia Univeristy, the K-8 school affiliated with Columbia. Tom is a product support analyst at Macmillan Publishers. They reside in Brooklyn, New York. Becky Renner ’00 Anderson of Grand Rapids, Michigan, attended the annual Barron’s Top Financial Advisors Summit in Palm Beach, Florida, on Nov. 29, 2017. Jaclyn Vande Wege ’00 Brummel and Mark Brummel announce the birth of Emily Ruth on Nov. 3, 2017. Beverly Katt ’00 Haycraft and Shannon Haycraft announce the birth of Ivy Marie on Aug. 26, 2017. 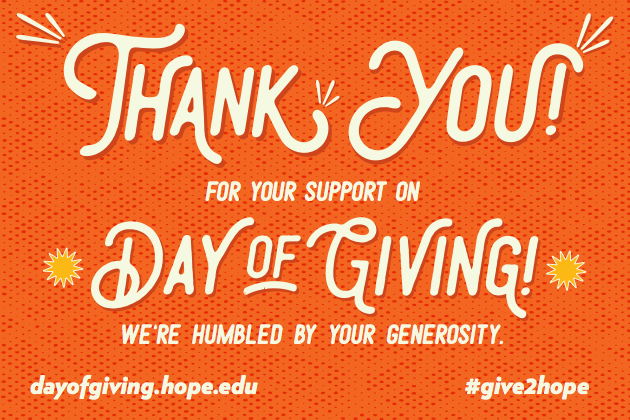 The Hope College Alumni Association will honor two alumnae during the annual Alumni Banquet on Saturday, April 28. 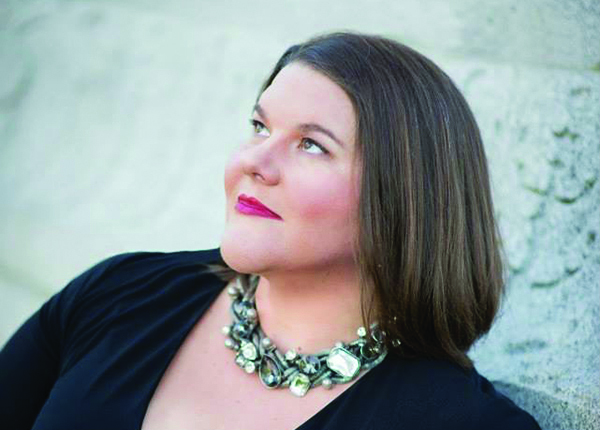 The association will present Distinguished Alumni Awards to Meredith Arwady ’00 Kahrl an acclaimed contralto based in Kalamazoo, Michigan, who has performed with opera companies and symphonies around the world. Arwady has performed with opera companies and symphonies including the Metropolitan Opera, … Continue reading "Meredith Arwady ’00 Kahrl"
Renee Lick ’00 Nicholas and Trevor Nicholas announce the birth of Ethan Loren on Sept. 1, 2017. Adam Magers ’01 has been appointed Cascade Township’s new fire chief. Ryan Smarszcz ’01 and Stephanie Lelo were married on Dec. 2, 2017, in Grand Ledge, Michigan. Rebecca LaRoy ’01 Town reports that after 11 years of ministry in Prattsville, New York, she and her husband, Greg Town ’02, recently moved to New Paltz, New York, with their three children. Becky will serve as one of the pastors at the Reformed Church of New Paltz. The move also gets them a little … Continue reading "Rebecca LaRoy ’01 Town and Greg Town ’02"
Laurie Karsten ’02 and Andy Pryor were married on Oct. 14, 2017, in Rochester Hills, Michigan. Kristen DeYoung ’01 Van Noord and Jared Van Noord ’02 announce the birth of triplets, their eighth, ninth and 10th children: Titus Owen, Naomi Karolyn and Simeon Whitefield, born on June 6, 2017. Lori Brown ’02 Kemp and John Kemp announce the birth of Reagan Elise on Jan. 22, 2018. Carrie Meulenberg ’03 Quist and Aaron Quist announce the birth of Betsy Lucille. Kimberly Lauver ’04 Fletcher and Mark Fletcher announce the birth of Maura Winifred on Aug. 23, 2017. Jill Van De Water ’04 Isola was installed as the pastor of Northminster Presbyterian Church in Hickory, North Carolina, on Nov. 19, 2017, in the Presbytery of Western North Carolina. Northminster Presbyterian Church is a More Light Congregation and a part of the Presbyterian Church (USA). Joe Dykstra ’05 and Caroline Hannema were married on July 14, 2017, in Holland, Michigan. Jessica Nelson ’05 Maynard and Lewis Maynard, along with their three children (Caeleb, Micah and Joseph), moved to Bucharest, Romania, in November 2017 to serve as full-time missionaries. Both Jessica and Lewis are serving at Bucharest Christian Academy. Their sending agency is ReachGlobal. More about their mission is available on their website, maynardsinmissions.com, or on … Continue reading "Jessica Nelson ’05 Maynard"
Andrew Meyers ’05 and Julie Wiant ’05 Meyers announce the birth of Emmett Allen on Dec. 9, 2017. Nathan Clinton-Barnett ’06 graduated with honors with a Doctorate in Occupational Therapy from Chatham University on Dec. 14, 2017. A few days later, on Dec. 20, Nathan and Lindsay Meek ’07 Clinton-Barnett welcomed the birth of Wells Phillip, who joins brothers Avery Reid and Brady Scott. Nathan is a partner at Safe Balance, a fall-prevention … Continue reading "Nathan Clinton-Barnett ’06"
Jessica Bodtke ’06 Hammer and Peter Hammer ’06 moved to France in November 2017 after being awarded the French Passport Talent visa (renewable for up to four years) to choreograph for and dance with the tap dance company Tapage in Toulouse, France. Peter will also be teaching classes and workshops in the Jump Rhythm Jazz … Continue reading "Jessica Bodtke ’06 Hammer and Peter Hammer ’06"
Jaime Jo Sabol ’06 Huff and Derrick Huff announce the birth of Heidi Wynn on June 15, 2017. Caleb Walcott ’06 and Meleah Walcott announce the birth of Eloise Ruth on Dec. 21, 2017. She joins big brother Silas. Stephanie Beach ’07 and Tony Messplay were married on Oct. 14, 2017, in Kansas City, Missouri. Kurt DeHorn ’07 of Hamilton, Michigan, joined Macatawa Bank mortgage sales team as vice president, mortgage loan originator in the Grand Rapids, Michigan, market. 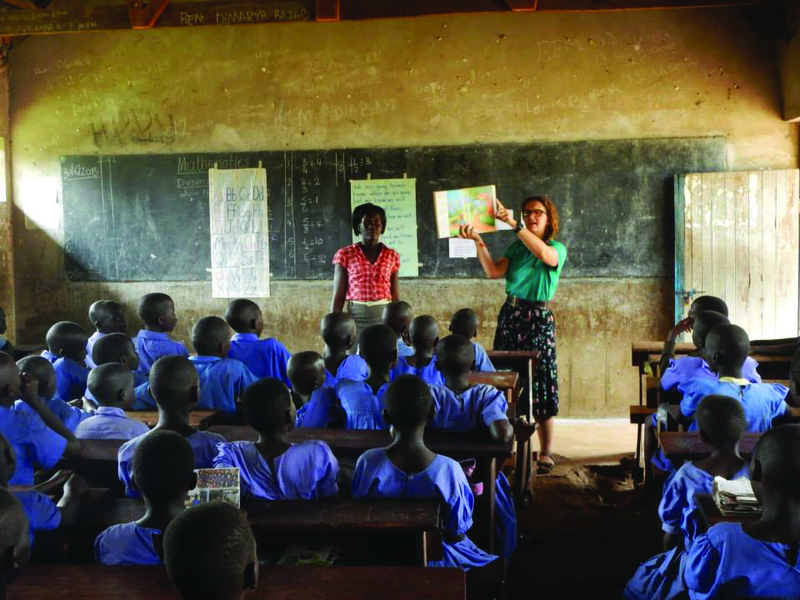 Lindsey Hall ’07 is an education volunteer in Uganda with the Peace Corps. In announcing that Hope is on this year’s listing of the 2018 Top Volunteer-Producing Colleges and Universities, the Peace Corps included a profile of Lindsey that reflects on her work and how her time at Hope helped shape her interest in service. … Continue reading "Lindsey Hall ’07"
Sarah Mignin ’07 McCabe and Matt McCabe ’08 announce the birth of Winifred Louise on Oct. 26, 2017. They reside in Chicago, Illinois. Barbara Schornstein ’07 received her doctorate in sport and exercise science: biomechanics from the University of Northern Colorado in December 2017. Sarah Herington ’08 Charles and Lee Charles announce the birth of Gavriela Merida on Dec. 1, 2017. Sarah also received her CPHQ (Certified Professional in Healthcare Quality) designation. They live in the Lansing, Michigan, area. Kayla Katterheinrich ’08 Germann and Philip Germann announce the birth of Elliott Fernandez in November 2017. He joins big brothers, Marshall (age 4) and Barrett (age 2). Kayla is a home health physical therapist and Philip is a prosecutor for the city of Lima in Ohio. Chris Maybury ’08 and Jessica Moore were married on Sept. 23, 2017, in Holland, Michigan. They reside in Sydney, Australia, where Jessica is from. Alexa Jansma ’08 Powers and Adam Powers announce the birth of Calvin Von on July 3, 2017. Elissa Preseau ’08 and Bradley McBride were married on Sept. 16, 2017, at Ciccone Vineyard & Winery in Suttons Bay, Michigan. Nicole Schrier ’08 of Lake Mills, Wisconsin, was promoted to partner at Neuberger, Griggs, Sweet & Smith LLP. Her legal practice concentrates in the areas of estate planning, probate and trust administration, real estate and municipal law. Lynde Seaver ’08 Szczembara and Daniel Szczembara announce the birth of Fletcher Timothy on July 30, 2016. Alison TenHaken-Meshkin Sale ’10 and Scott Sale announce the birth of Hendrik John on Oct. 29, 2017. Elies Aguilera ’10 Sietsema and Casey Sietsema announce the birth of Austin Henry on Jan. 18, 2018. Carl Dunker ’11 and Raquella Tunzi were married on Oct. 7, 2017, in Holland, Michigan. Katherine Krueger ’11 Leedy and Carson Leedy announce the birth of Ari Quinn on Nov. 11, 2017. Audrey Griffith ’11 Snoor and Greg Snoor announce the birth of Anna Joyce on Dec. 30, 2017. Andrea Toren ’12 Erber and Nate Erber ’12 announce the birth of Solomon James on Dec. 1, 2017. Amanda French ’12 and Paul Jacobs were married on July 28, 2017, in Holland, Michigan. She is an eighth-grade resource room teacher at East Middle School in Farmington Hills, Michigan. Grace Gonzalez ’12 and Joseph D’Agostino were married on Aug. 26, 2017, in Park Ridge, Illinois. Chelsey Huisingh ’12 and Nicholas Leonard ’12 were married on June 10, 2017, in Holland, Michigan. Carter Piers ’12 of Honolulu, Hawaii, graduated with a Master of Social Work from the University of Hawaii at Manoa in December. He is employed by Hina Mauka Teen CARE, where he serves as a certified prevention specialist. Lauren Welsch ’12 received a Ph.D. in health services research from Old Dominion University. Briana Beyer ’13 received a 2017 “Top Producer” award from Coldwell Banker Real Estate in Holland, Michigan. Adrianne Brown ’13 and Jordan Rose ’14 were married on Sept. 30, 2017, in Grand Rapids, Michigan. Brittany Pieters ’13 and Mark Winter were married on Saturday, Dec. 9, 2017, in Augusta, Georgia. Kyle Sutton ’13 and Sara Yockey ’15 were married on Sept. 30, 2017, in Grand Rapids, Michigan. Jon Redeker ’14 is the quality architect on the application services team for Gordon Food Service. Emilie DeFrain ’15 joined the Grand Rapids Downtown Market as the market events coordinator in 2017. She and Adam Gleason were married on June 3, 2017, in Oxford, Michigan. Samuel Horsch ’15 is pursuing a M.Div. degree at Boston University School of Theology. He is the supervisor at the School of Theology Library and operations manager for the Boston University Marsh Chapel. The choir with which Sam performs recently released a new album Kallembach: Most Sacred Body. Courtney Kayne ’15 reports that after job searching for quite some time as a long-term substitute last spring, and leaving East Aurora School District 131, she started this school year as an eighth-grade Spanish teacher in Huntley School District 158. She is very happy as a colleague of two other middle school Spanish teachers, in … Continue reading "Courtney Kayne ’15"
Holly Thompson ’15 was selected for the 2017-18 Douglass Fellowship Inaugural Class by Human Trafficking Institute. She is supporting the institute’s efforts and will coordinate an event at Vanderbilt Law School. Luke Boeve ’17 is an engineer at Lear Corporation in Southfield, Michigan. Rachel Hibbard ’17 is currently serving a two-year term in the Peace Corps. She is teaching English to students in Lesotho in southern Africa.